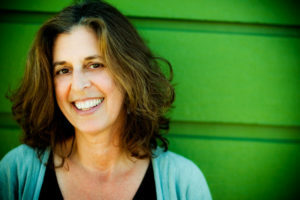 My name is Susan Mittleman and I am a 500-hr, Certified Professional Yoga Teacher and Certified Yoga Therapist in the Pranakriya tradition, a lineage of Kripalu Hatha Yoga. I am also certified in Thai Yoga Massage, having studied with Kam Thye Chow, a Master of this form of healing touch. I grew up in Los Angeles, studied theater and communications in college, and, after traveling around the world, found my way to Atlanta via the international stage of broadcast journalism. The stress of wars, life and death, and crazy hours took its toll, and what kept me grounded was traveling and yoga. The exploration of what is possible, both physically, emotionally and spiritually, is something I found in the world and on the mat. As my career and life took a few turns, my practice did as well and eventually, in 2008, I started my journey of becoming a teacher with Yoganand Michael Carroll. I have been teaching, growing and learning ever since. I truly believe yoga is a life-long practice that can bring balance and healing, strength and flexibility, and a greater sense of well-being, both on and off the mat. I’m grateful for my teachers who’ve guided my path, especially, Yoganand Michael Carrol, founder of Prankriya School of Healing Arts, Norma Chirolla, Mukta Kalsa, William Hufschmidt, Marlysa Sullivan, Sivananda Ashram, Tias Little, and many others who, over decades, I have the pleasure of practicing with and learning from.